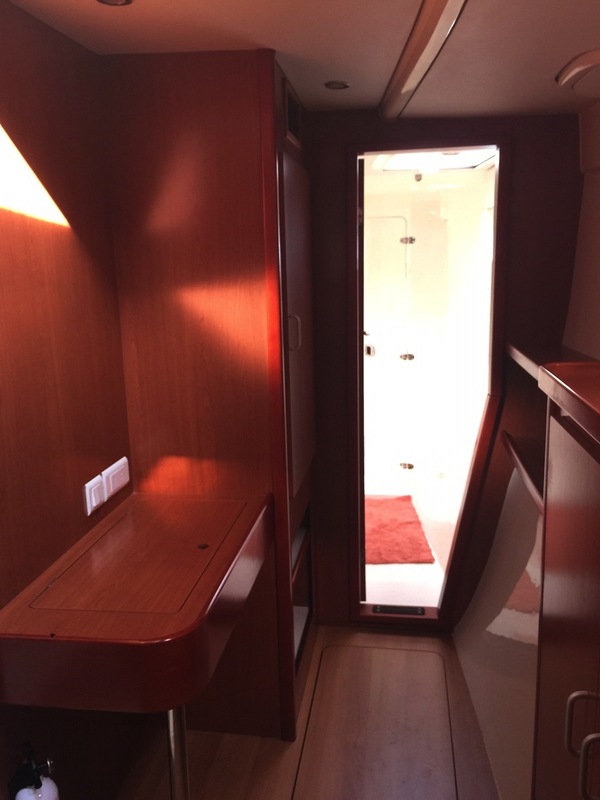 SOLD for $280,000. 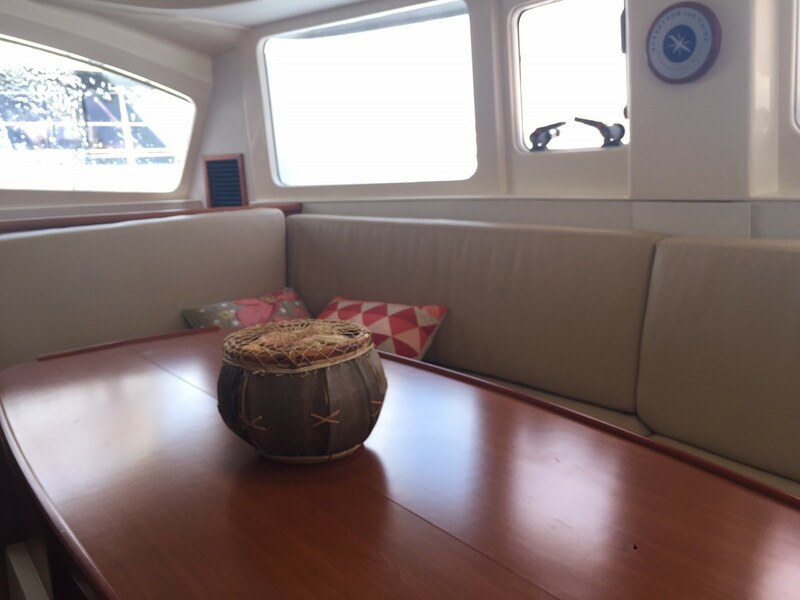 TIC TAC is a One-Owner-Boat! 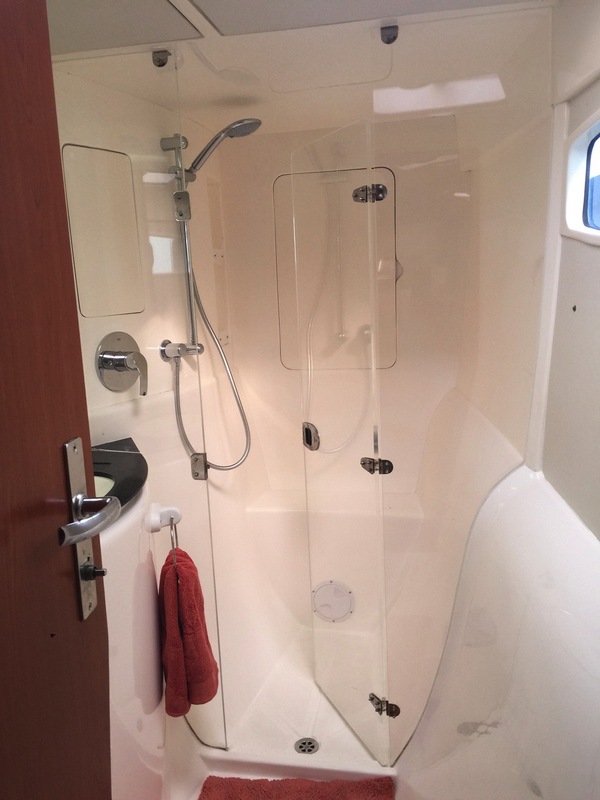 The owner lived aboard for a few years in one marina. 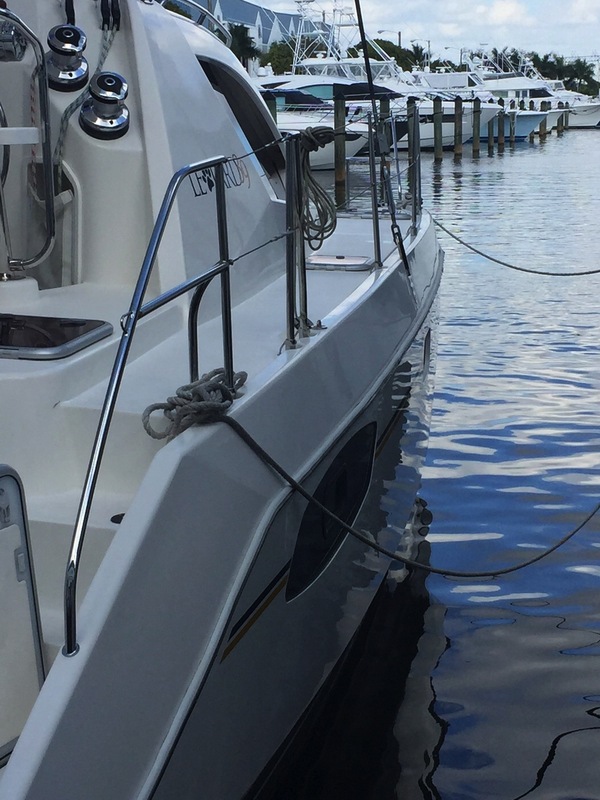 Less than 1000 miles put on the boat since delivery. 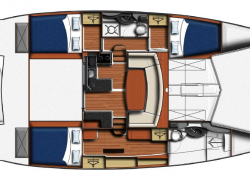 Leopard's commitment to innovation and performance resulted in the newly introduced Leopard 39 earning the 'Boat of the Year 2010' from Cruising World and SAIL magazine. 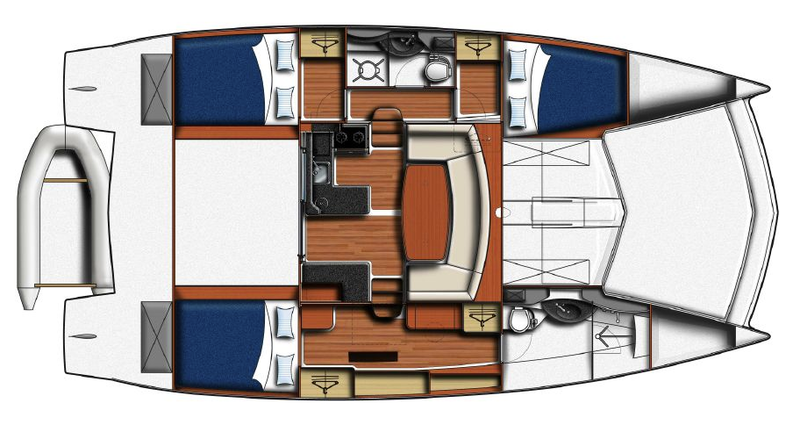 The Leopard 39 features a large cockpit with excellent visibility which lends itself to ease of boat handling. 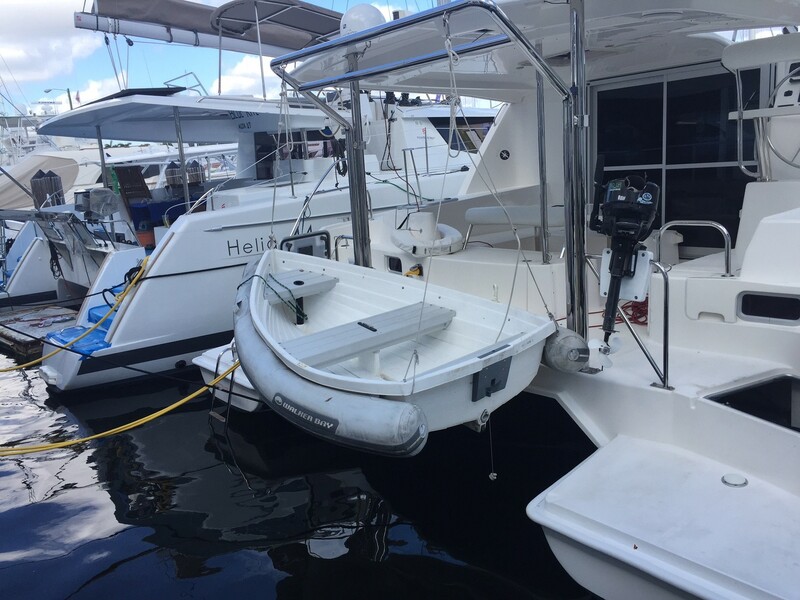 The hardtop bimini offers protection of the outside dining area and a stable platform for access to the working rigging. 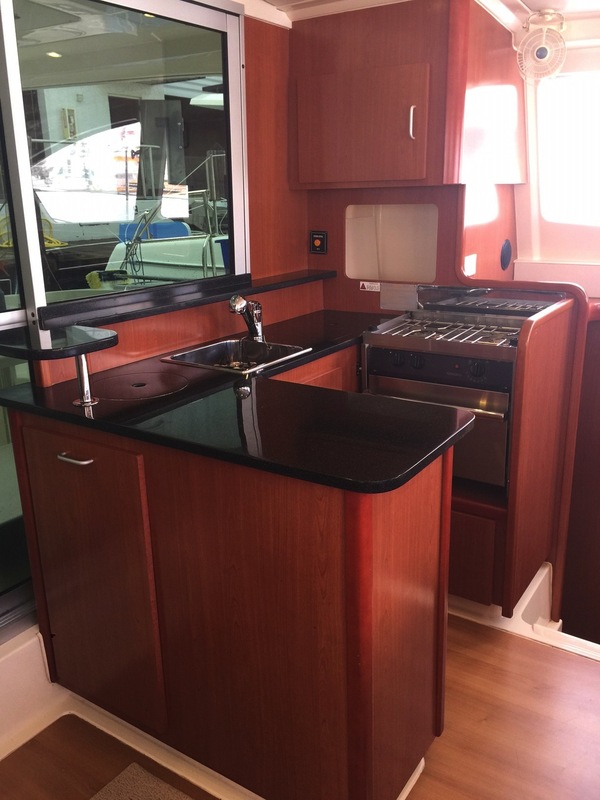 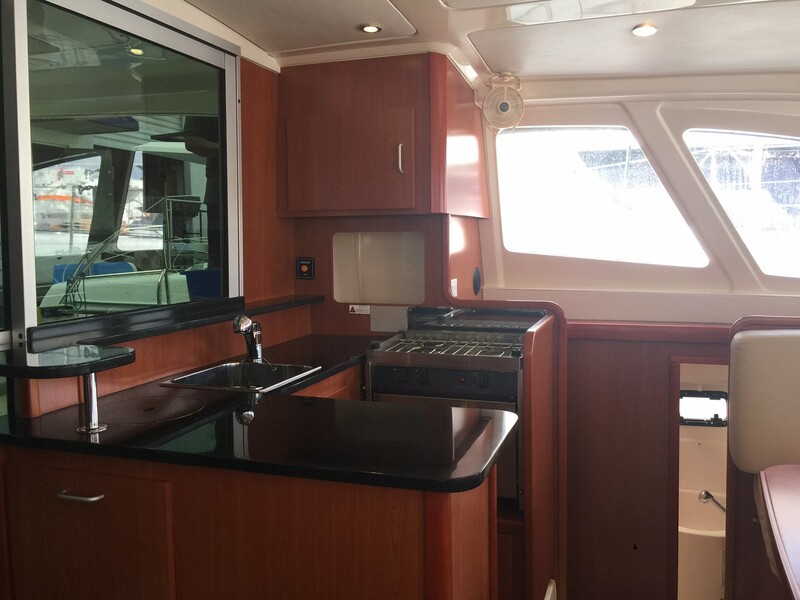 The galley-up design incorporates a spacious saloon and aft facing galley. 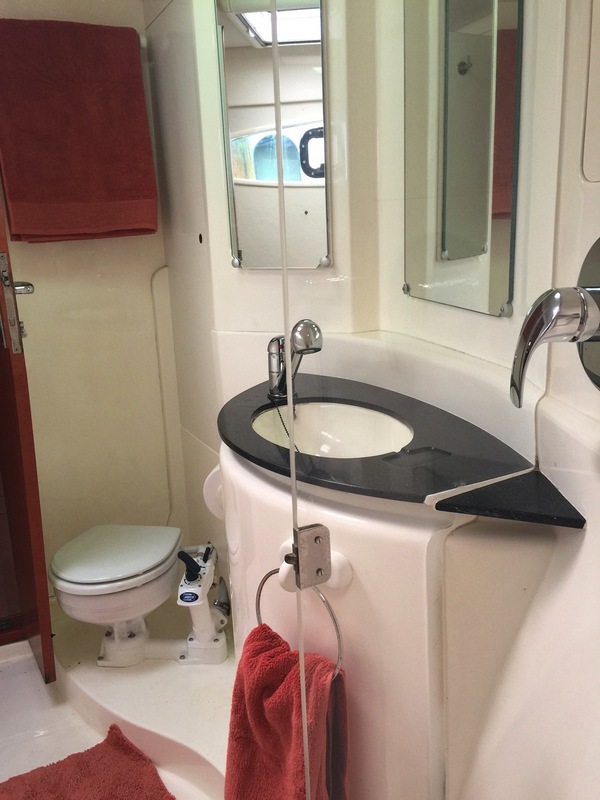 No steps up or down anywhere. 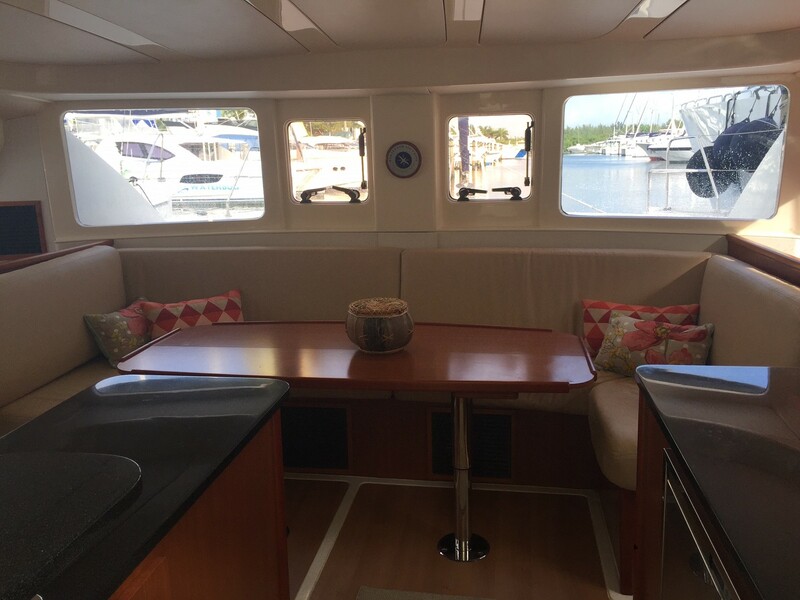 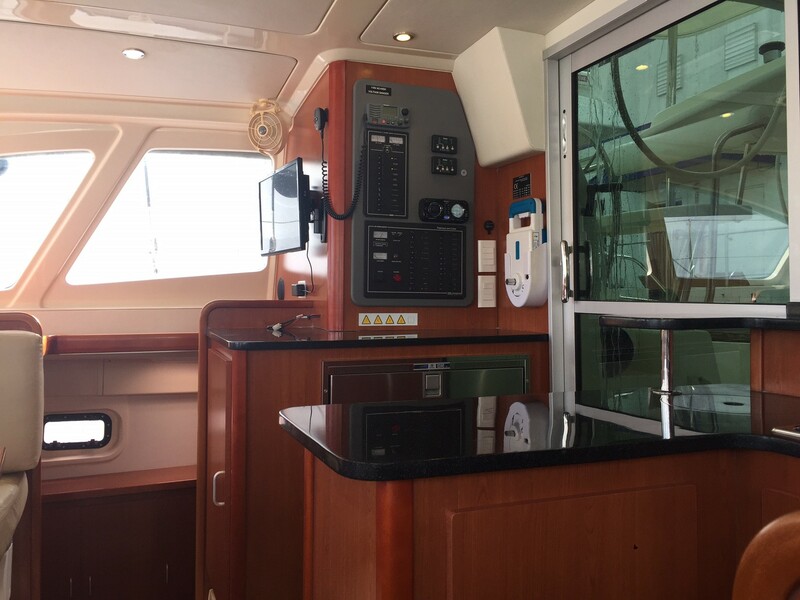 Large, elliptical windows and vertical forward facing windscreens add to the sleek look of the yacht and give the interior a light, airy feel with 360 degree visibility. 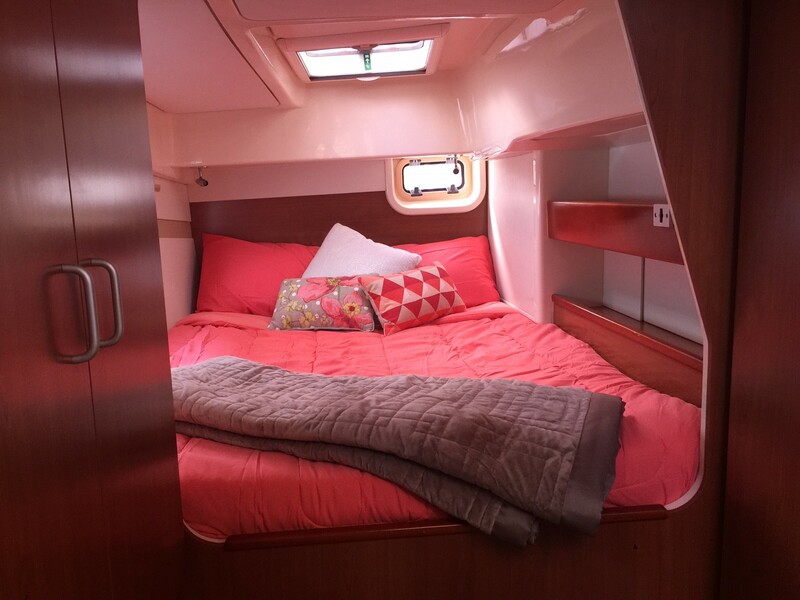 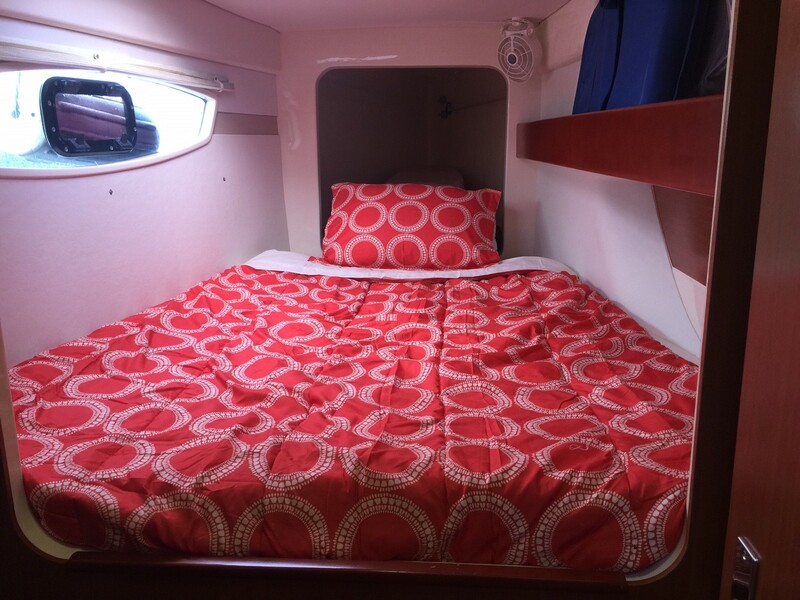 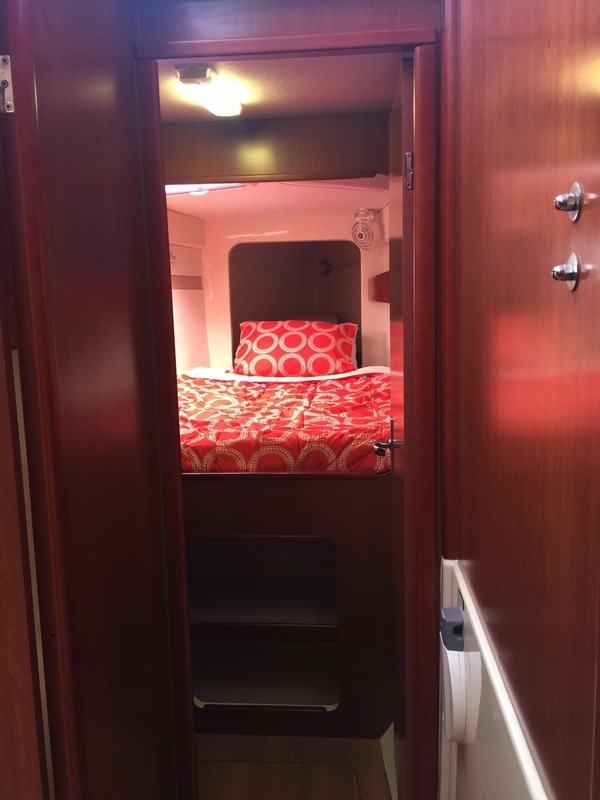 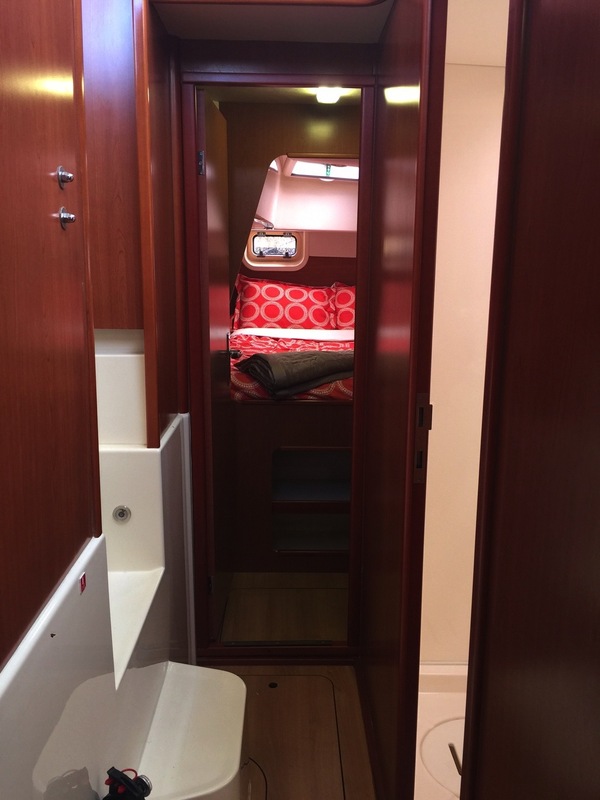 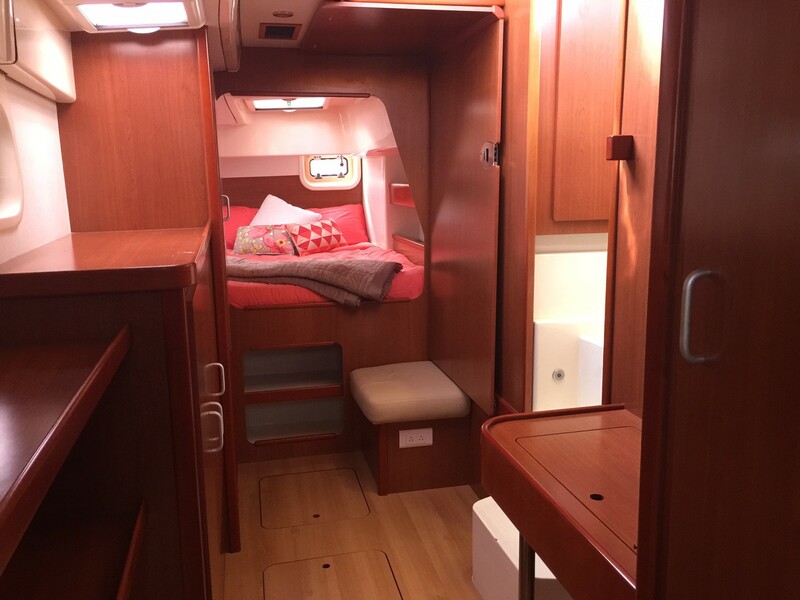 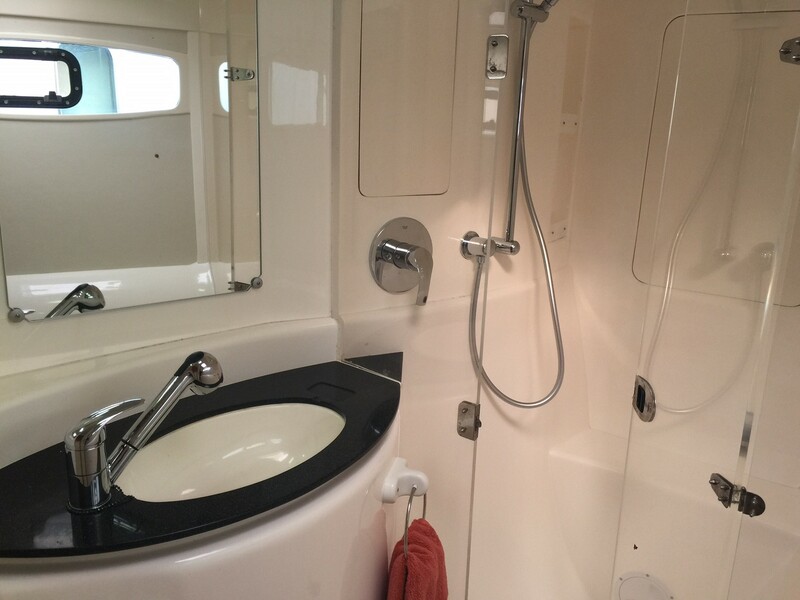 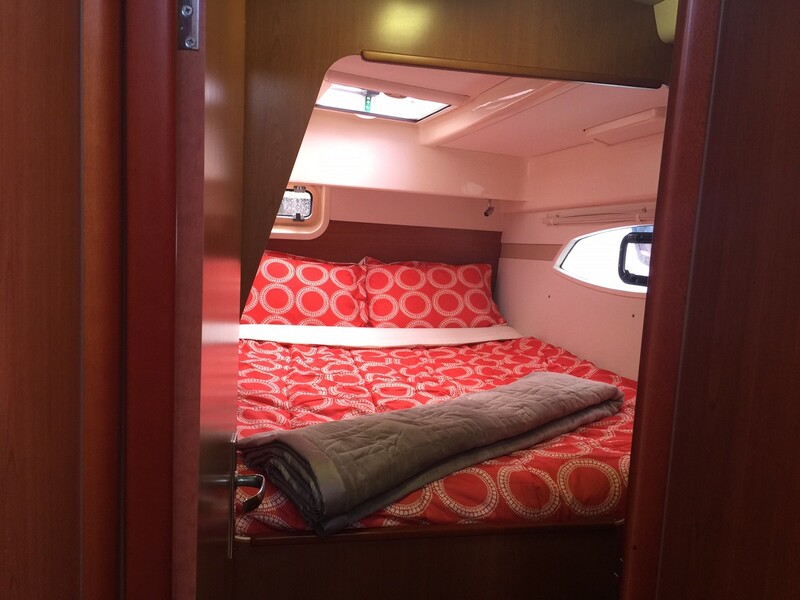 The 3-cabin layout features an owner-dedicated starboard hull with master stateroom, office area and large head with separate stall shower forward. 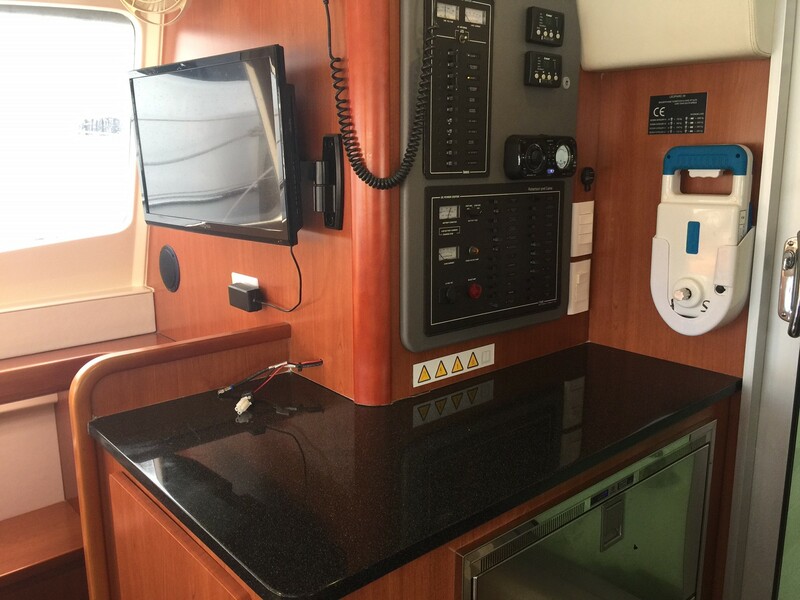 The raised helm station allows all maneuvers to be handled from the safety of the helm seat (comfortable seating for two) as the halyard, main and jib sheet winches are all within reach.